Renee Pekmezaris received her PhD from Hofstra University in 1987 in Psychology, specializing in applied research and program evaluation. 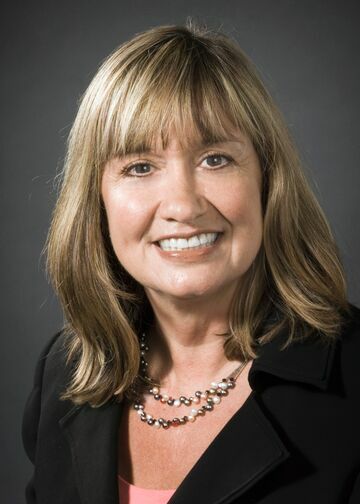 For the first ten years of her career, she served the Long Island, New York (NY) community as research and executive director of the Nassau-Suffolk Health Systems Agency, the NY State-designated health planning and regulatory agency for Long Island. Dr. Pekmezaris joined Northwell Health as vice president for community health and health services research in 2005. As a multimethod researcher with expertise in quasi-experimental design and qualitative approaches, she leads a team of health services researchers responsible for conducting studies to improve quality of life for patients living with chronic disease, including community-based participatory research. She has authored over 80 peer review publications, has served as a panel reviewer for the National Science Foundation/NIH and journal reviewer for PharmoEconomics, Medical Education, Journal for Healthcare Quality, Palliative Medicine, Journal of Clinical Oncology, Journal of Comparative Effectiveness Research and Health Services Research. Many of Dr. Pekmezaris’ studies are focused on improving chronic disease management by leveraging the use of technology, such as telehealth technology. Her studies often involve partnering with community members and community-based organizations to better understand how healthcare issues uniquely affect diverse communities. Community-based participatory research approaches are used to engage community members in all aspects of the research process and implement interventions with the greatest impact. Our researchers utilize mixed methods in order to provide a broader perspective and a deeper understanding of the diseases being studied. As of October 2018, the Health Services Research Division published over 80 research articles in peer reviewed journals, and has acquired $23.2 million in grant funding to support their research, including three disparity research grants from the Patient-Centered Outcomes Research Institute (PCORI) to adapt (via qualitative approaches) and test (via randomized control trials) home telemonitoring approaches for disparity patients living with heart failure, COPD and diabetes, respectively. These randomized clinical trials determine whether the health of Hispanic patients who receive this adapted telemonitoring intervention experience better health outcomes compared to those who receive standard outpatient care. Dr. Pekmezaris previously served as research fellow of the Institute for Medical Effectiveness Research at Albert Einstein College of Medicine (AECOM), and is professor in the Center for Health Innovations and Outcomes Research at the Feinstein Institutes for Medical Research and at the Donald and Barbara Zucker School of Medicine at Hofstra/Northwell. The Community Health & Health Services Research Division, led by Renee Pekmezaris, PhD, conducts multidisciplinary research to examine how individual, social, and organizational factors affect healthcare delivery and patient outcomes. Our team is well-versed in multimethod and quasi-experimental research approaches. Collaborating with investigators throughout the health system, they provide scientific consultation across a range of healthcare and community-based settings, focusing on “rightsizing” health utilization, reducing health disparities, and improving quality of life. With an emphasis on the growing population of seniors in the New York metropolitan area, our team looks for solutions to improve quality of life for patients living with chronic illness by leveraging the use of technology, such as telehealth technology. We are actively studying remote patient monitoring with patients with heart failure, COPD and diabetes. Remote patient monitoring- in the home- is one form of interactive technology that has the potential to enhance patient quality of life (QoL), as patients are able to stay in their own homes and stay connected to their support systems. It may also offer significant cost savings in its ability to allow practitioners to monitor, evaluate and educate patients from remote locations. Christian has worked for the Northwell Health System since 2006 as a research analyst. He has worked in teams with physicians, nurses, social workers, researchers, analysts and financial experts on four randomized trials measuring the effectiveness of telehealth monitoring in the community. He is responsible for training, database creation and management, analysis, and manuscript preparation. He has authored nineteen manuscripts in his time at Northwell, and 100 presentations at national meetinghs. Chris mentors research assistants and junior faculty, and has served as a journal reviewer and contributed to a book about physician orders for life-sustaining treatment (POLST), part of a national initiative. Jill has been with Northwell Health for 20 years, working in the Division of Community Health and Health Services Research during the past ten. Jill is responsible for budget management and day to day administration of the research team. Myia Williams, PhD, received her doctorate in applied organizational psychology with a strong emphasis in research design, psychometrics, and statistics from Hofstra University in 2017. She provides scientific consultation in research design, qualitative and quantitative analysis, needs assessment, survey development, psychometrics, data safety and monitoring, manuscript development, and grant proposal writing. She has published over 10 research articles on end of life care, heart failure, home telemonitoring, and pulmonary embolism in top tier journals such as Health Affairs and the Journal of the American Geriatrics Society (JAGS). Briana Pascarelli, has a Masters of Arts in industrial/organizational psychology and is currently pursuing her doctorate in applied organizational psychology at Hofstra University. Her training includes experimental and quasi-experimental research design, qualitative and quantitative analysis, focus groups/interview facilitation, survey development and implementation, data safety and monitoring, and proposal writing. She is presently working in spinal cord injury, diabetes management, and chronic obstructive pulmonary disease. Kayla received her Master of Science from Western Kentucky University in May 2016, and is currently pursuing a doctorate degree from Hofstra University. Her training emphasized strong research methodology and statistical analyses as well as scientific writing. As such, she specializes in research design, survey and questionnaire development and validation, and analyzing data using a variety of statistical software. As a researcher, Kayla has assisted colleagues in the geriatric and palliative medicine departments in regard to study design and data analysis, and is currently working on an interdisciplinary team aiming to increase organ donation in New York State. Vidhi Patel, MS, MBA is currently a PhD candidate in the Applied Organizational Psychology program at Hofstra University, New York. Ms. Patel has completed her master’s in Industrial/Organizational Psychology from Baruch College, and holds an MBA in Management and Marketing. Ms. Patel’s skill set includes: quantitative and qualitative analysis, experimental and quasi-experimental research methods and mixed methods designs in health care. She has worked in the past with clinicians, fellows and health psychologists at Northwell Health on a number of research projects and grants. She also has experience developing, conducting and validating survey studies and analyzing large data sets. Pekmezaris R, Tortez L, Williams M, Patel V, Makaryus AN, Zeltser R, Sinvani L, Wolf-Klein G, Lester J, Sison C, Lesser ML, Kozikowski. Home Telemonitoring in Heart Failure: A Systematic Review and Meta-Analysis. doi: 10.1377/hlthaff.2018.05087 HEALTH AFFAIRS 37, NO. 12 (2018): 1983–1989. Sinvani L, Kozikowski A, Patel V, Mulvany C,Talukder D, Akerman M, Pekmezaris R, Wolf-Klein G, Hajizadeh N. Geriatric Care in the ICU: Non-Adherence to Geriatric-Focused Practices in Older ICU Survivors. American Journal of Critical Care 2018 Sep;27(5):354-361. doi: 10.4037/ajcc2018363. PMID: 30173167. Sinvani L, Warner-Cohen J, Strunk A, Halbert T, Harisingani R, Mulvany C, Qiu M, Kozikowski A, Patel V, Liberman T, Carney M, Pekmezaris R, Wolf-Klein G, Karlin-Zysman C. A Multicomponent Model to Improve Hospital Care of Older Adults with Cognitive Impairment: A Propensity Score-Matched Analysis. J Am Geriatr Soc. 2018 Aug 11. doi: 10.1111/jgs.15452 PMID: 30098015. Cohen J, Sinvani L, Wang J, Kozikowski A, Patel V, Qiu G, Pekmezaris R, Spyropoulos A. Warfarin Quality Metrics for Hospitalized Older Adults THIEME OPEN ACCESS 2/2018 e242-e249. Pekmezaris R, Schwartz RM, Taylor TN, DiMarzio P, Nouryan CN, Murray L, McKenzie G, Ahern D, Castillo S, Pecinka K, Bauer L, Orona T, Makaryus A. A qualitative analysis to optimize a telemonitoring intervention for heart failure patients from disparity communities. BMC Medical Informatics and Decision Making 2016; 75-84. Basnet, S., Kozikowski, A., Makaryus AN., Pekmezaris, R., Zeltser, R., Akerman, M., Lesser, M., Wolf-Klein, G.: Metformin and Myocardial Injury in Patients With Diabetes and ST-Segment Elevation Myocardial Infraction: A Propensity Score Matched Analysis. Journal of the American Heart Association, 2015 Oct; 4(10). PMID: 26494519. Pekmezaris R, Kozikowski A, Moise G, Clement PA, Hirsch J, Kraut J, Levy L. Aging in Suburbia: An Assessment of Senior Needs. Educational Gerontology 2013 39: 1–11. Pekmezaris R, Nouryan C, Pecinka K, Swiderski J, Mitzner I, Lesser M, Siegel M, Moise G, Younker R, and Smolich K. The Impact of Remote Patient Monitoring (Telehealth) Upon Medicare Beneficiaries with Heart Failure. Telemedicine and e-Health. 2012; 18 (2): 101-108. PMID: 22283360. Pekmezaris, R., Breuer, L., Zaballero, A., Wolf-Klein, G., Jadoon, E., D’Olimpio, J., Guzik, H., Foley,C., Weiner, J., Chan, S.: Predictors of Site of Death of End-of-Life Patients: The Importance of Specificity in Advance Directives. Journal of Palliative Medicine, 2004 Feb; 7(1):9-17. PMID:15000779.